Tiger Leaping Gorge in Yunnan Province CHINA. 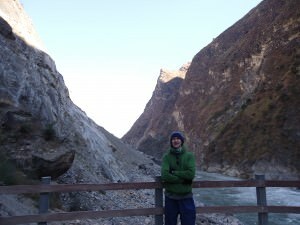 Tiger Leaping Gorge is an exceptional place. Remote, natural, cold and Chinese, sum up this little haven away from the busy working world. What is it? How do you get there? Firstly most tourists that visit here will have come from Lijiang, and yes I stayed there first too. 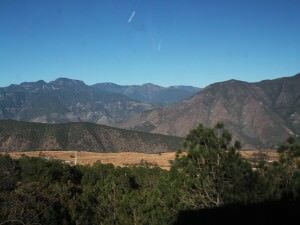 From Lijiang there are several bus options to Tiger Leaping Gorge. 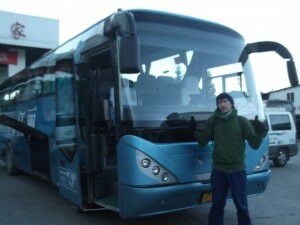 Head to the main bus station in Lijiang which is in the new town and on a main road. 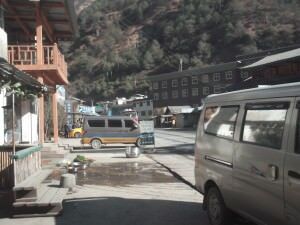 We took the 8.20 am bus which takes around 3 hours to arrive at the village near Tiger Leaping Gorge. Tiger Leaping Gorge is an isolated spot. 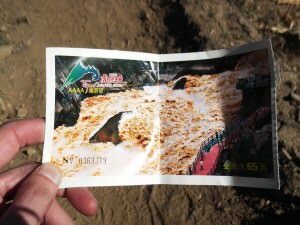 My bus ticket from Lijiang to Tiger Leaping Gorge (Qiaotou Village) in CHINA. The bus ride is scenic and comfortable. I enjoyed the view – I’ve said it before and I’ll say it again – I love travelling in China. It is a real travel gem and I strongly recommend you all to visit China, especially remote parts such as Tiger Leaping Gorge. Plus as a foreigner it makes you feel like you are really travelling – it’s like another world. A lifestyle of travel should be all about places like this! I could travel forever with views like this – my bus window view between Lijiang and Qiaotou (Tiger Leaping Gorge) in CHINA. You want to be getting out here, in Qiaotou Village to see Tiger Leaping Gorge. 2. Please be aware that to see Tiger Leaping Gorge up close, you DON’T go on a hike – you get a driver to take you to the viewing point only. 3. You only need to spend about an hour (maximum!) at the viewing point for Tiger Leaping Gorge – honestly – it’s just a viewing point, albeit a good one. 4. I’d advise you copy what we did if you want to get the proper experience of these amazing Yunnan Mountains AND get up close and personal to Tiger Leaping Gorge. 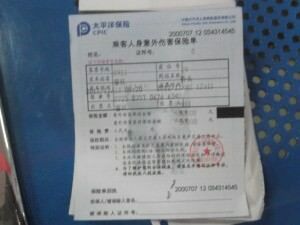 My ticket to Tiger Leaping Gorge Viewing Point – you will need to pay it to get to the actual lower lookout point – it costs 65 RMB. 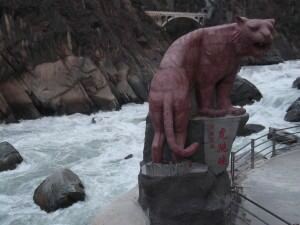 So once you get to Qiaotou Village, ask a driver to take you to the Tiger Leaping Gorge viewing point. The entrance point to Tiger Leaping Gorge will be an elevated platform like this overlooking the gushing waters below. We got there around 11.30 am, having left Lijiang at around 8.30 am. Not bad! So, get out at the Viewing Point and head down the steps to be amazed by the views, the sounds of the gushing waters and the overall natural vibe of the place. 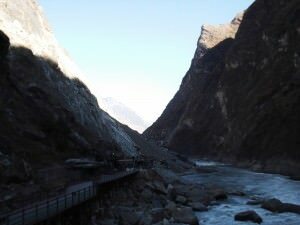 On the walk down the steps to Tiger Leaping Gorge you will be confronted with this epic backdrop of mountains! It’s a fantastic place. But please note that you only need an hour or so here (we took just 35 minutes 😉 ), so get your driver to wait for you – which he will and take you back to either Qiaotou Village to stay overnight OR do what we did and start the epic Upper Trail hike! 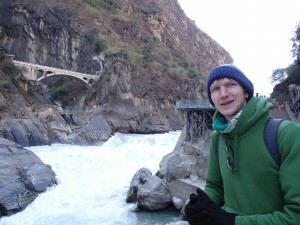 Relaxing up close and personal to the gushing waters of Tiger Leaping Gorge in Yunnan, CHINA. So to conclude all I really want to say is – try and find time to do BOTH the Upper Trail hike and the lower viewing platform for Tiger Leaping Gorge. The hike is epic, difficult and has some amazing views, BUT on the hike you will not get up close and personal to the gorge itself so take some advice and do both – you’ll be satisfied with it! 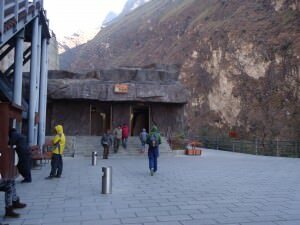 The walk at the viewing platform is a quick one – don’t spend more than an hour here at the amazing Tiger Leaping Gorge! Don’t Stop Living is condemned to a lifestyle of travel. I’m a travelling Northern Irishman! This entry was posted in Asia, China, Yunnan and tagged Beijing, Bus, China, Lijiang, Shangri La, Tiger Leaping Gorge, Travel, Yunnan. Bookmark the permalink. Well done ! You are so brave and adventurous! These are great pictures of Tiger leaping Gorge! Which reminds me… I should go through my India pictures and post some. Having read this I thought it was rather informative. I appreciate you finding the time and energy to put this article together. Thanks Andy – done the Great Wall myself a few years back and loved it! Pingback: Chinese New Year: What are Red Packets?